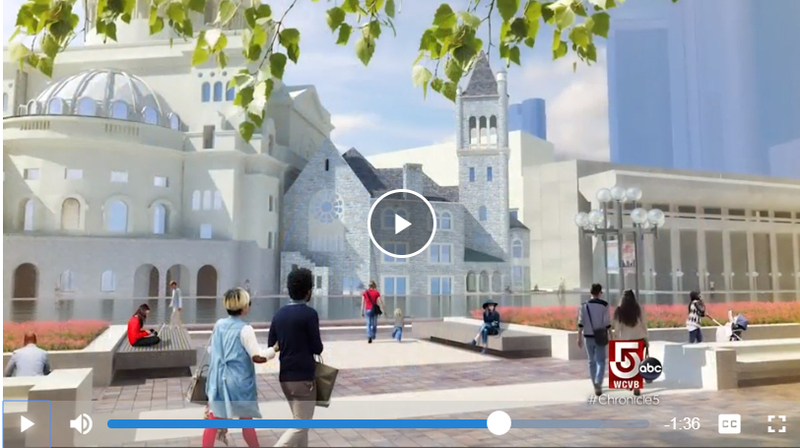 John Amodeo recently appeared on a segment of Chronicle5, the nation’s longest-running, locally-produced magazine show, entitled “Breathing New Life Into Sacred Structures” to talk about the vast improvements taking place at The Christian Science Plaza. CRJA-IBI Group is leading a multi-disciplinary consultant team for the revitalization of the plaza, the largest privately-owned public open space in Boston, and one of the city’s most iconic landscapes. The plaza is in the last stages of its revitalization with changes subtle to the eye but significant to the church, visitors and environs. The interview gives a glimpse of the improvements you will see when the project is complete this fall. This program originally aired on Wednesday, March 20th at 7:30 pm on New England’s WCVB-TV channel 5.